I’ve got mixed feelings about this one guys… let’s start with deets and then I’ll list my pros and cons. The palette is $45 for 8 eyeshadows (.04oz each) and 1 loose pigment (.05oz). There’s 2 matte shadows, a matte with glitter and 5 shimmers. The inspiration was Egypt, specifically Cleopatra which I think was well represented with these jewel toned colors. First let’s consider the price. I don’t think that $45 is unreasonable for a palette of this quality but it has a lot less product than most of her previous ones. For example, MI VIDA LOCA was around $60 for 24 eyeshadows. Here you’re getting about a third of the product for only $15 less. I think she could’ve made the pans a bit larger. But no biggie. At least for me. Next the packaging. Same with the MI VIDA LOCA palette, I’ve got a love hate relationship with the packaging. It’s a big bulky palette that takes up a lot of space. 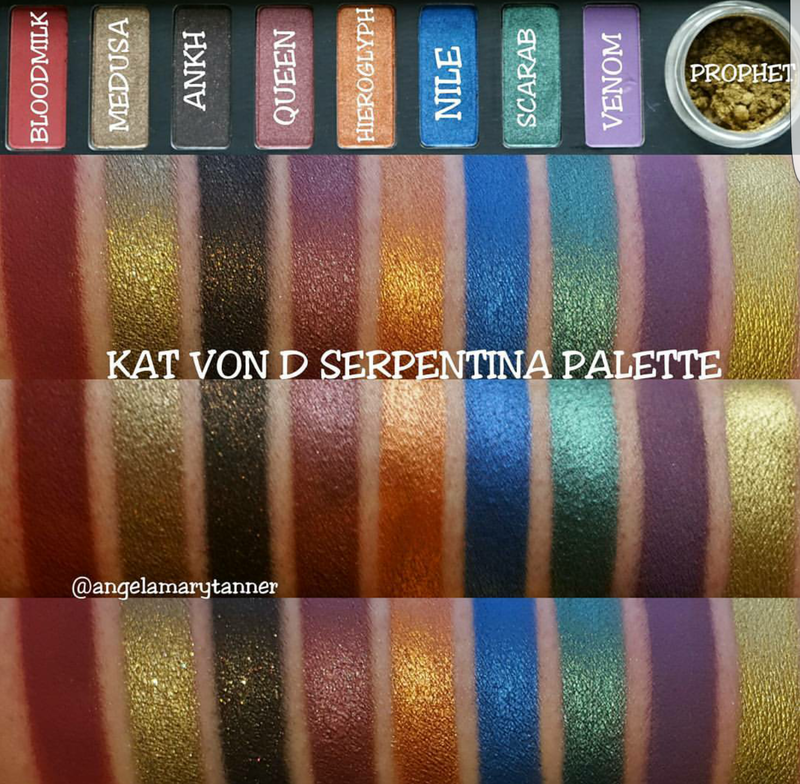 However it would be sacrilegious to depot a KVD palette because her artwork is exquisite. The palette is black with gold detailing and a nice mirror. It’s very sturdy and clearly well made. It’s just too damn big. 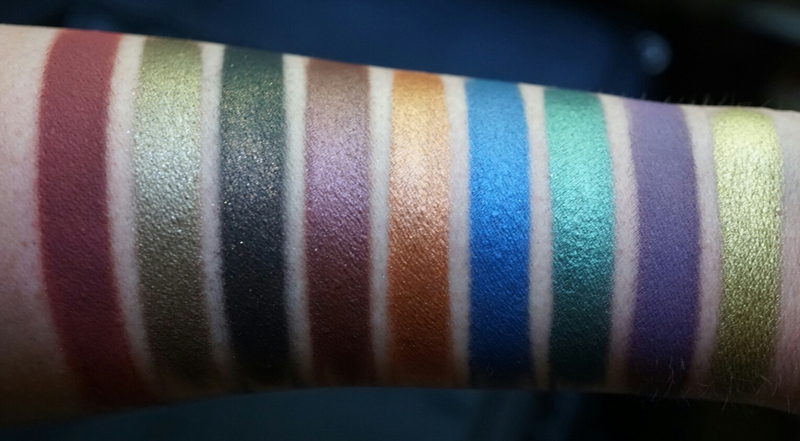 Also the pigment… it’s a really cool idea in theory but in practice I’m not digging it. I already forgot to put the lid back on the jar and then flipped the palette upside down. You can imagine how that worked out. But as long as you’re not careless like me, you’ll be fine. On to the good stuff! The shadows! 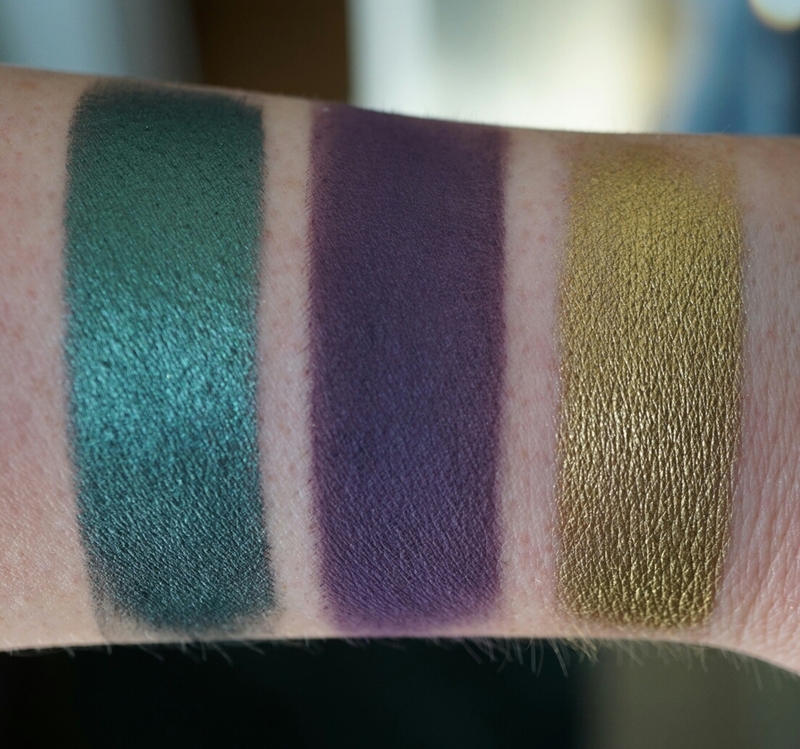 I love KVD eyeshadows and these are no exception. The metallics are very creamy and pigmented. 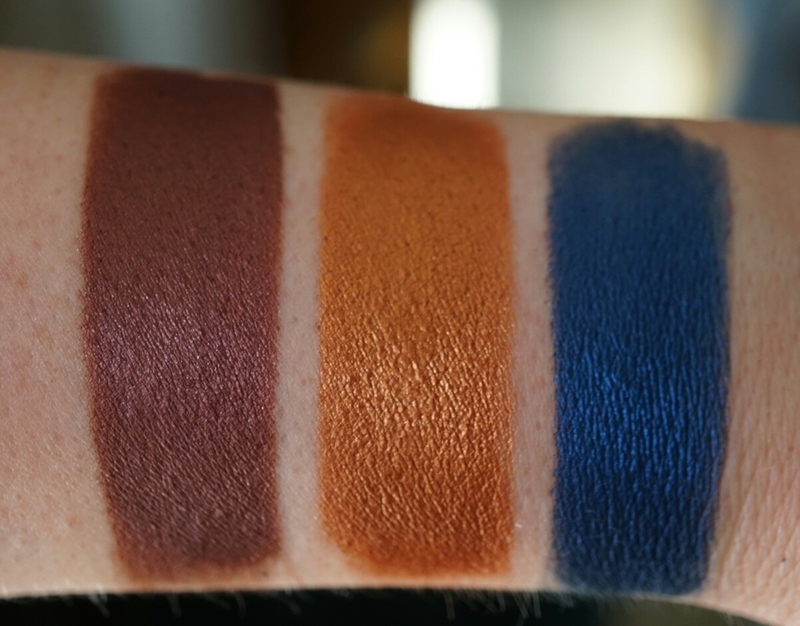 The mattes swatched a little patchy but applied smoothly. The only color that I found a bit troublesome was ANKH. It’s a matte black with copper and gold glitter. The shadow itself is a bit dusty and, as is often the case with this type of shadow, the glitter doesn’t adhere well to the skin.